For those without comedic tastes, the so-called-experts at Wikipedia have an article about The White Album. 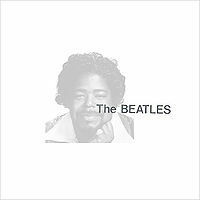 The White Album is the 12th album by The Beatles. The Album features 2 Discs, each containing around 15 tracks of pure white noise. It is recommended that you stare directly into a light bulb of at least 60W while listening to it. According to uncertain rumors, all songs contained therin are about cocaine. 15. Why Don't We Blank It in the Road? This page was last edited on 10 September 2012, at 09:26.